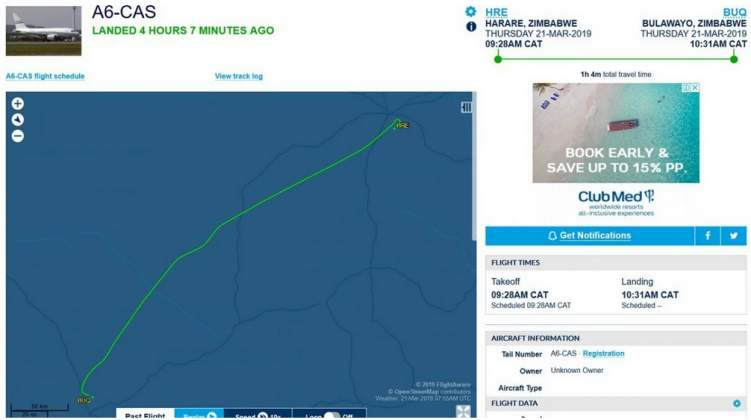 President Emmerson Mnangagwa hired a luxury jet from Dubai to fly him the hour-long journey from Harare to Bulawayo on Thursday, ZimLive reported. 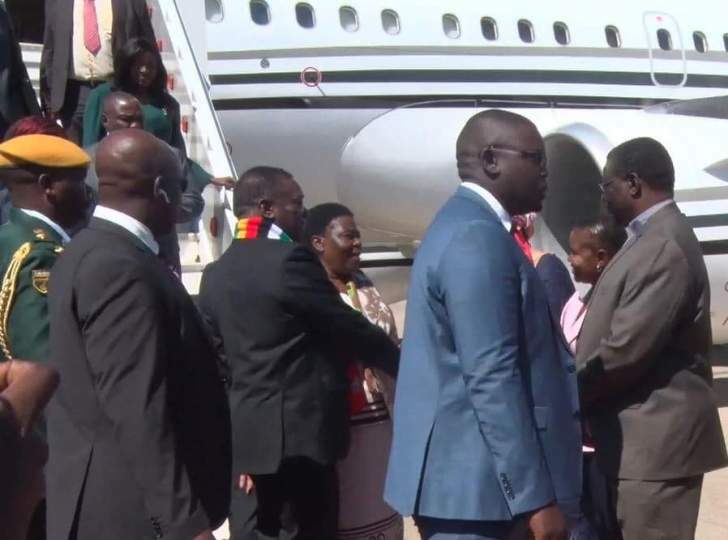 The Airbus A318-100 flew seven hours and 16 minutes from Dubai in the United Arab Emirates on Wednesday to position in Harare, ahead of Mnangagwa's flight to Bulawayo this morning where he addressed civil society groups. The VIP fitted jet bearing registration A6-CAS is owned by Constellation Aviation Services, and would have been hired by Vice President Constantino Chiwenga's wife, Mary, whose company East Town Holdings was controversially awarded a contract to provide government VIP "travel services and other services" in January 2018. The MDC said Mnangagwa's decision to hire the 19-seater jet at a cost of US$12,500 per hour, just as the government is making international appeals in the wake of Cyclone Idai which had killed at least 139 people by Thursday, was "abuse of office". The total cost of the hire is estimated at US$200,000. Jacob Mafume, the MDC spokesman, told ZimLive: "If this is true, then it confirms what we have always known that we have an uncaring executive that is a firm disciple of primitive and conspicuous consumption. "In a period when the government has brought out its begging bowl following the devastating cyclone for which they failed to plan, we now have to witness Mnangagwa going to great lengths to spend precious foreign currency in the same way a man buys a golden toilet seat but asks for donations to help him fix his leaking roof. "It's now clear that he carried out a coup in order to have these luxury joy flights at the expense of the tax payer. This abuse of office."